When you sell a house in Indiana, you are required to complete a sales disclosure form. See Ind. Code § 32-21-5-1(a); Ind. 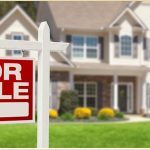 Code § 32-21-5-10(a) (“An owner must complete and sign a disclosure form and submit the form to a prospective buyer before an offer for the sale of the residential real estate is accepted.”). The sales disclosure form requires the seller to disclose the known condition of the house, including whether there is a defect in the foundation, roof, water/sewer system, among other conditions. Essentially, the law requires you disclose all material, significant defects. Ind. Code § 32-21-5-4 reads, “As used in connection with disclosure forms required by this chapter, ‘defect’ means a condition that would have a significant adverse effect on the value of the property, that would significantly impair the health or safety of future occupants of the property, or that if not repaired, removed, or replaced would significantly shorten or adversely affect the expected normal life of the premises.” The latest version of the form can be found here if you want to check it out. Undoubtedly, the fact that there is a hole in your living room drywall from a picture you hung and didn’t disclose it, would not constitute a “defect” which you would have to disclose. On the other hand, if you know there is a crack in your foundation or have reason to believe there are termites at the house, that would constitute a “defect” which you would have to disclose. Note: There is a section of the sales disclosure form which allows a seller to add any additional “defect” which the specific form section might not specifically address. So, what if you knowingly misrepresent or, more likely, unintentionally misrepresent the questions on the form? The statute is pretty straightforward. As long as you didn’t have actual knowledge that there was a “defect”, you cannot be held liable. However, if it was a “defect” within your actual knowledge, then you may be liable. In Johnson v. Wysocki, 990 N.E.2d 456, 466 (Ind. 2013), the Indiana Supreme Court held that the seller may be liable for fraudulent misrepresentations made on the disclosure form only if he or she had actual knowledge that the representation was false at the time he or she completed the form. (emphasis added). See also Harmon v. Fisher, 56 N.E.3d 95 (Ind. Ct. App. 2016). The “actual knowledge” standard can be hard to prove in many cases. Actual knowledge may be inferred or shown by circumstantial evidence in the absence of direct evidence or admission of knowledge. See Johnson v. Wysocki, 990 N.E.2d at 466 (citations omitted). “However, that is not the same as a finding that the issues ‘should have been obvious.’ The standard of ‘should have known’ is lower than ‘actual knowledge.’” Id. “[A] showing that an owner failed to disclose a defect of which he should have known is not sufficient.” Boehringer v. Weber, 2 N.E.3d 807, 812 (Ind. Ct. App. 2014) (citing id. at 466-467) (emphasis added). Therefore, if you are a buyer that has information to believe the seller had actual knowledge of a “defect” which they failed to disclose, then you likely have a case for misrepresentation or fraud against the seller. Likewise, if you are a seller and a buyer is accusing you or suing you for failure to disclose something on the sales disclosure form, you could be liable for the buyer’s damages. If you are a buyer having issues with the house you just purchased or a seller facing potential disclosure liability, please give us a call at (765) 640-1330 or email Alex Beeman at alex@beemanlawoffice.com. Beeman Law has represented numerous buyers and sellers (and even home inspectors) wrapped up in these situations.